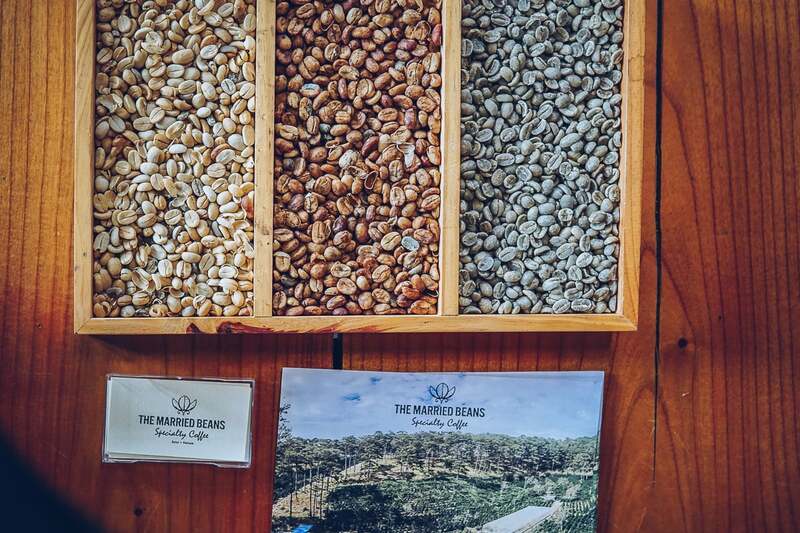 The Married Beans are an award-winning coffee company headquartered in a former royal residence in Dalat. 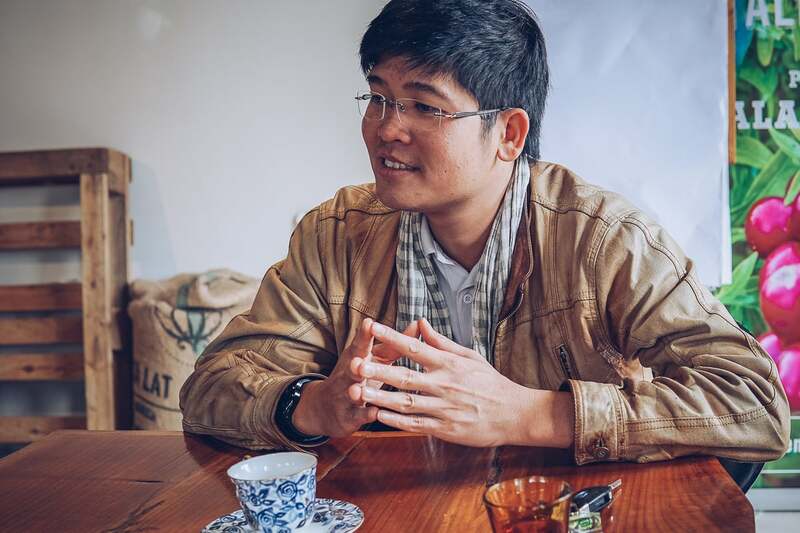 Since 2013, they’ve been key players in the growing reputation of Vietnamese single-origin arabica coffee supplying local chains like Urban Station, and international roasters like Berlin-based Vietnamese-German restaurateur Nguyen Ngoc Duc. In a region perfect for coffee cultivation—where the average temperature hovers around 18 degrees at altitudes of 1500 meters—The Married Beans have been building strong, sustainable relationships with local farmers in this former hill station and in nearby Lam Dong, Lac Duong, Cau Dat, and in the area around Lang Biang Mountain. 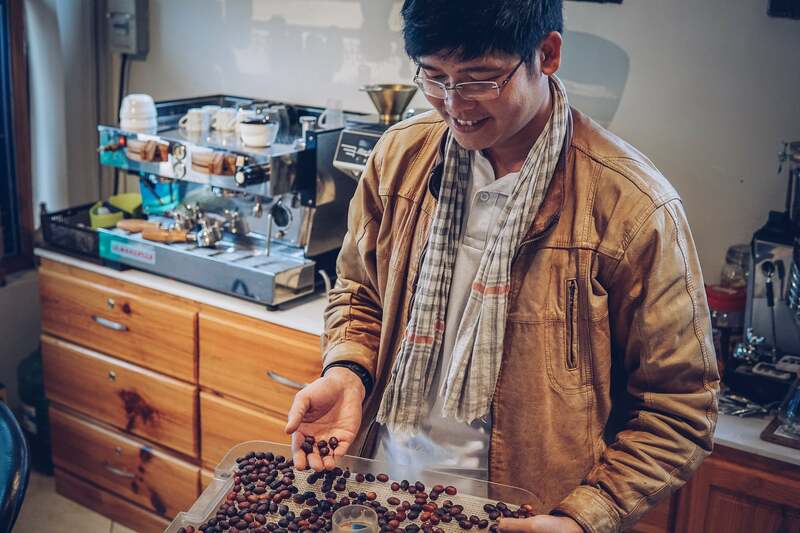 Inspired by their guidance in helping those local farmers to understand their “natural heirloom of arabica”, and their drive to collaboratively produce the best possible green and roasted beans on the market, we traveled to Dalat to speak with Founder and Director, Duy Ho. 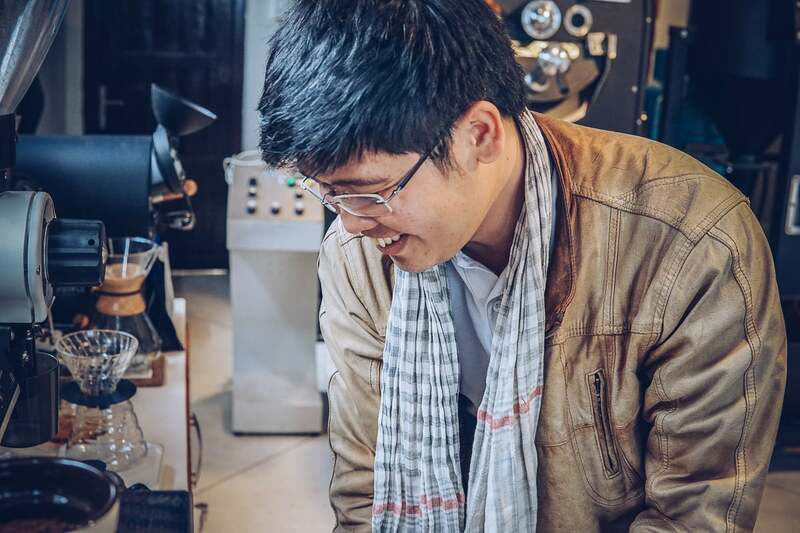 He is someone you might also recognize as co-founder of one of Saigon’s best-loved coffee shops—The Workshop. Tell us, where did you get the name The Married Beans? In 2009, I graduated as a Hospitality major from my university in Ho Chi Minh City. I came to Lam Dong Province as a volunteer to work on a sustainable development project. I learnt that Lam Dong has the perfect conditions for coffee cultivation because of its altitude, temperature, and soil. Two years later, I joined La Viet Coffee, also in Dalat. Then, in 2013, I returned to Ho Chi Minh to co-found The Workshop. It was around that time that I realized my life, and my mission lay in coffee cultivation. I resolved to go back to Dalat and work with the farmers. That was also when I decided on the name The Married Beans. I love coffee so much that I figured I should probably go ahead and marry it. And those farmers who we connected with during the original project in 2009 formed the cooperative we now represent. Today, we have grown to work with 50 farmers and their families who cultivate our single-origin, small-batch coffee beans. What’s your personal coffee consumption like? I drink coffee all the time—pour over, espresso. I probably drink around two liters of coffee a day. That starts with two or three espressos in the morning, and then I move on to filter coffee. I can even drink coffee at night, at eleven or twelve, and still sleep easily. My personal preference would be for beans from Dalat or Cau Dat. I also love the taste and aroma of tea, and I enjoy red wine, both of which I feel have some of the same complexities. What is The Married Beans’ model for coffee cultivation and sale? We would describe ourselves as a socially responsible cooperative. That’s because our expressed purpose is to benefit the community. Our farmers are paid Fair Trade prices for their cherries which they hand pick. The high-quality beans they provide are then sold to local and foreign buyers and profits from those sales are given back to the farmers. We feel this ensures that everyone involved benefits. Through this approach, we have made strong connections to the farmers around Dalat, Lam Dong, Cau Dat, Lac Duong and among the ethnic K’ho Lam Dong community. Quite simply, we want to produce the best possible coffee, whether that is greens beans or coffee roasted by ourselves. Vietnam is known for being the second largest exporter of robusta in the world. Only 5% of the coffee from Vietnam is arabica. Our arabica coffee grows in the fertile volcanic high-altitude soil we find in this region. We will only harvest the cherries when they are absolutely ripe, and not before—which is one shortcut coffee farmers use to increase profits while sacrificing flavor. Our harvested cherries are washed and dried in greenhouses on raised beds which helps to maintain their moisture content. During every step of this process, we grade the beans as another way to maintain quality. Finally, we carefully store them in parchment until they are ready to ship or roast. How much coffee are you processing? Every month, we process between seven and ten tons. We export around a hundred tons a year. The farms we work with have one yearly harvest which lasts for three months, starting in October. At that time the farmers work intensely. During the rest of the year, they will focus on tending their farms and making preparations for the harvest. What is distinctive about the coffee produced here compared to other coffee-growing regions around the world? Globally, countries like Kenya, Ethiopia, Colombia, Guatemala and Jamaica’s Blue Mountain Range are well-known for their coffee. Africa, for example, produces spicy, fruity coffee. In Asia, the taste is more nutty and berry-infused. 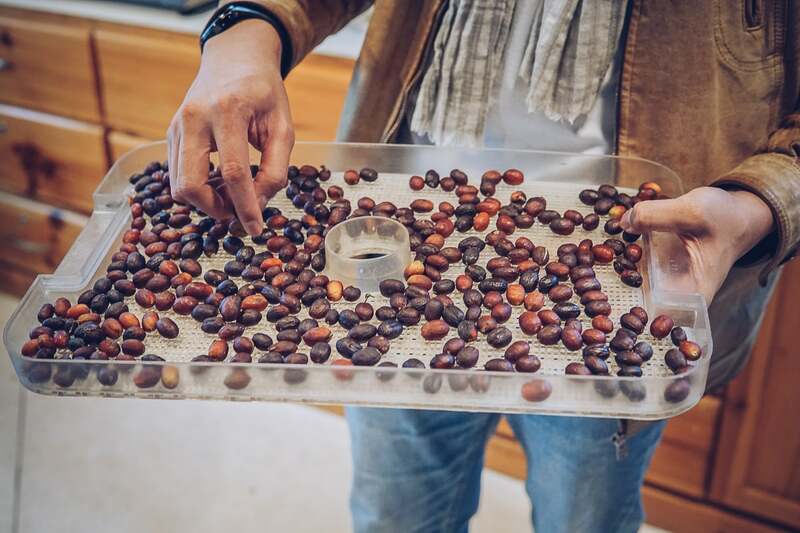 In Vietnam, besides the coffee from places in the north like Son La and Dien Bien, Dalat has the potential to become very highly-regarded internationally for its arabica coffee. It is for that reason that you can see our coffee sacks are proudly printed with the name “Dalat”. What are the major challenges in producing your coffee? There is limited awareness around specialty coffees in Vietnam. We do not have many academic institutions or professionals offering training here. And for the consumer, overall, the market is focused on being low-cost. Consumption can become more about habit than about drinking good quality coffee. How do you feel about the influx of global brands into Vietnam? What effects are chains like Starbucks having on the market? I feel Starbucks have created a good environment in which to enjoy coffee. I do not think their coffee is the best quality, but they have achieved a high level of consistency. That has allowed smaller local chains to see how Starbucks operate and to learn from that. They have also helped educate the young consumer market to some extent. So for me, I was very happy to see a large international chain like Starbucks entering Vietnam. Tell us about some of your key customers? Around 60% of our business is exporting raw green beans. We ship to America, Japan, Australia, and on a smaller scale to Korea. Nguyen Ngoc Duc in Germany, who you already connected with, is also my partner and my friend. When he first came to Dalat, he spent a few days here and we visited some farms together. He runs six restaurants in Germany, while also supplying many other establishments with our coffee beans. We export green beans to him, which he then roasts himself. He buys a few tons every year. The remaining 40% of our coffee stays in Vietnam. We work with numerous hotels and restaurants. 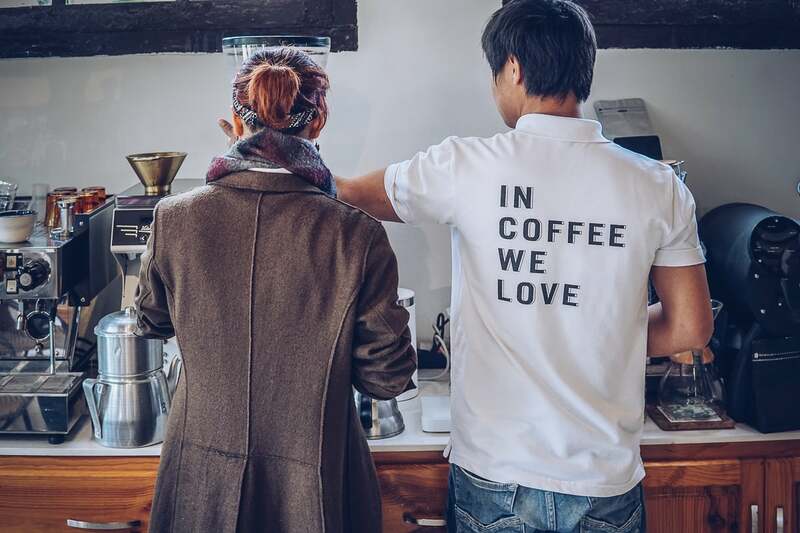 We also partner with Urban Station and some other chains, and also coffee shops like Work Cafe Saigon and the one at The Factory Contemporary Arts Center. How did you discover this incredible building that has become your headquarters? This villa was built by Vietnam’s last Emperor, Bao Dai, for his eldest son, Crown Prince Bao Long. I needed a location to act as a meeting point with customers, from where we could depart on farm visits. We also needed enough space for our 30 staff as well as for my office. I asked some members of the local government for suggestions and we were very lucky to be offered this space. We can make coffee in the room we are in now and it doubles as a training center. We have lots of customers and coffee shop partners and their staff who request training from us. How does the immediate future look for The Married Beans? In this villa, we are thinking of developing three rooms where guests can stay. 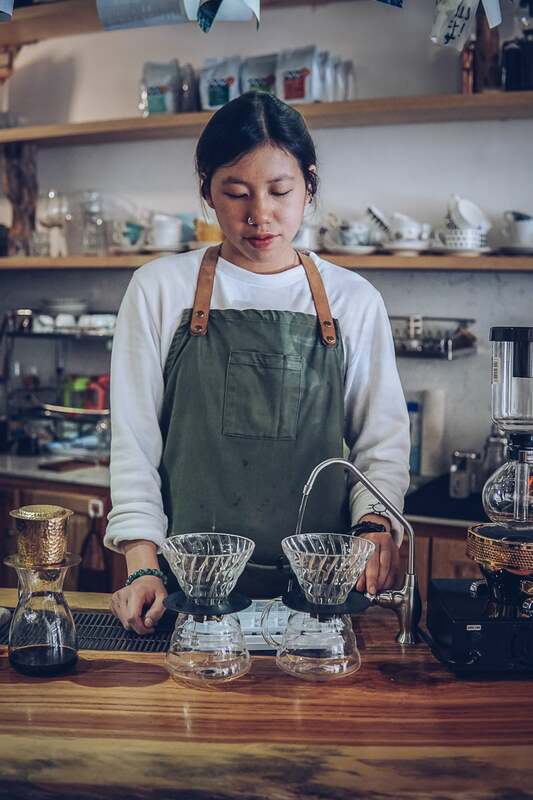 The first Married Beans coffee shop in the center of Dalat is around one-year-old. We want to make our second one here. And we’re also thinking of opening a small restaurant with a farm-to-table concept. Who would you suggest we speak to next? You should speak to our partners KC Low and Ms. Khanh from 5th Elements Organic Company based in District 7. We believe in their business as they are producing safe, nutritious and organic products.